Get Ready To Be A Part Of The Start- Up Culture At These Esteeemed BBA Colleges In Pune! It is an absolute no brainer to place the entire onus of development of enterpreneurial skills on the centers for learning.With India enjoying the demographic advantage in almost every field the role of BBA colleges in grooming and developing budding enterpreneurs has become particularly important.The idea is to catch them young and foster and nurture enterpreneurship to create sustainable businesss in the future. Institutes that place an emphasis on intiative, innovation can offer a candidate the right environment to emerge successful in todays competitve corporate environment. BBA colleges in Pune offer an amalgamation of technology, an insight into the practical aspects of business by way of a robust student-mentor network along with an approach that takes into accout the larger interests of the society as a whole are bound to create successful business leaders for tomorrow. Business environment has seen a drastic change from being formal, autoritative brick and mortar workspaces to more vibrant, a lot younger consultative business work culture of the modern day offices driven by the revolution introduced by the internet. Agility, simplicity and proactiveness take the centerstage when dealing with a normal workplace environment of today. The ability to take risks and design as well as implement business strategies can be inculcated at these BBA colleges. Some of them boast of incubation centres that are backed by the goverment initiatives that pose real life challenges for students to simulate the business environment. 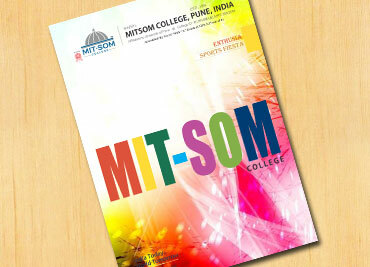 Also important is the diversity of skills that needs to be inculcated by potential business leaders of tomorrow that can be achieved by choosing an institute that has earned itself a name in the sphere of managemnt education in Pune like the MITSOM college of management . BBA colleges in Pune focus on the development of lifelong skills like opportunity recognition, creative or out of the box thinking abliities that are essential to be a part of the start- up culture that has been dominating the business spaces in cities like Pune and Banglore. The internet has opened up a plethora of opportunities across the globe with India clearily enjoying the demographic advantage over the west. It makes a great career decision to opt for a BBA college that offers you a professional edge in the competitive business world.